Every time I go for my colour at Tony Chaar Salon, I get to the sink and I&apos;m all like—"Hold the conditioner. I&apos;ll just have the vinegar rinse, thanks." Then I practically bounce out of the salon with voluminous, shiny, shampoo-commercial hair. And... scene. Can you tell I love vinegar rinsing? I don&apos;t think we&apos;ve talked about just how much. It wasn&apos;t until I found my Life Colourist, Tony Chaar (he really is that amazing! ), that I discovered this now-essential part of my haircare routine. Vinegar rinses work on all hair types and can be left in or rinsed out. Depending on the formula, it may come pre-diluted, or you might need to dilute it yourself with water. And you may choose to leave it in or rinse it out after applying. More on that in a second! "For fine hair, a vinegar rinse is magic," says Tony. "If you have limp hair and use a moisturizing shampoo and conditioner, you&apos;re not going to have bounce. So I wouldn’t use a conditioner at all on very fine hair. I recommend a vinegar rinse for adding body, and you can totally leave that in." The man is right! I&apos;ve found that using a diluted vinegar rinse and leaving it in my hair gives me soft overall volume that doesn&apos;t feel dry or crispy—and works better than so-called volumizing shampoos and conditioners. Vinegar rinses add body and prevent colour fade. 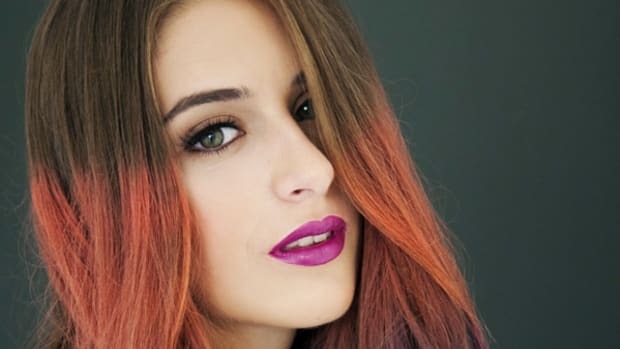 If you have colour-treated hair, vinegar can prevent it from fading. "The vinegar seals the cuticle of the hair and doesn&apos;t allow the colour to run out," says Tony. You probably know that colour fade happens in the shower. Water, especially hot water, opens up the hair cuticle so the dye molecules can escape. But when you do have to wash your hair, adding a vinegar rinse (and using lukewarm water!) will limit this process because it re-seals the hair cuticle faster. 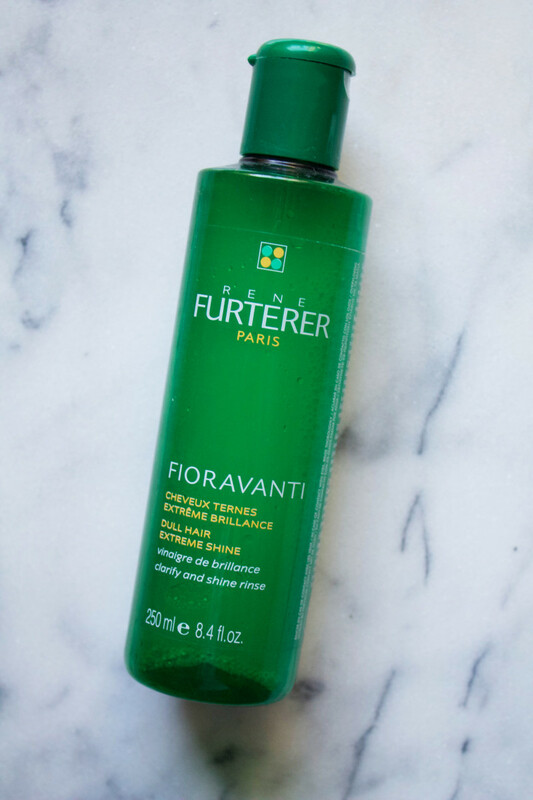 René Furterer Fioravanti Clarify and Shine Rinse (now called Lumicia Illumianting Shine Rinse) will give you shinier hair. 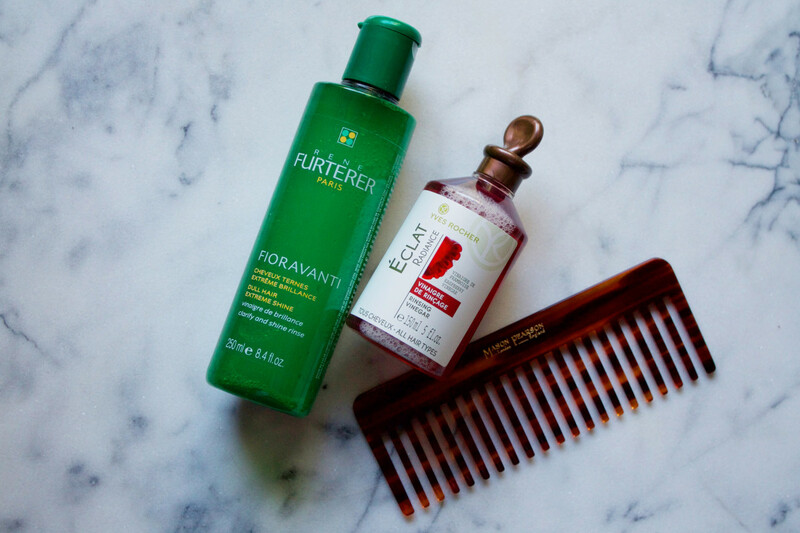 "A vinegar rinse automatically adds more shine to your hair," says Tony. If you have dull hair, blame it on hard water and residue from styling products that collects on the surface of your hair cuticles, causing a lacklustre, more matte appearance. Just like you&apos;d use an acid-based toner in your skincare routine to dissolve dead skin cells, the acid in a vinegar rinse dissolves build-up on your hair. 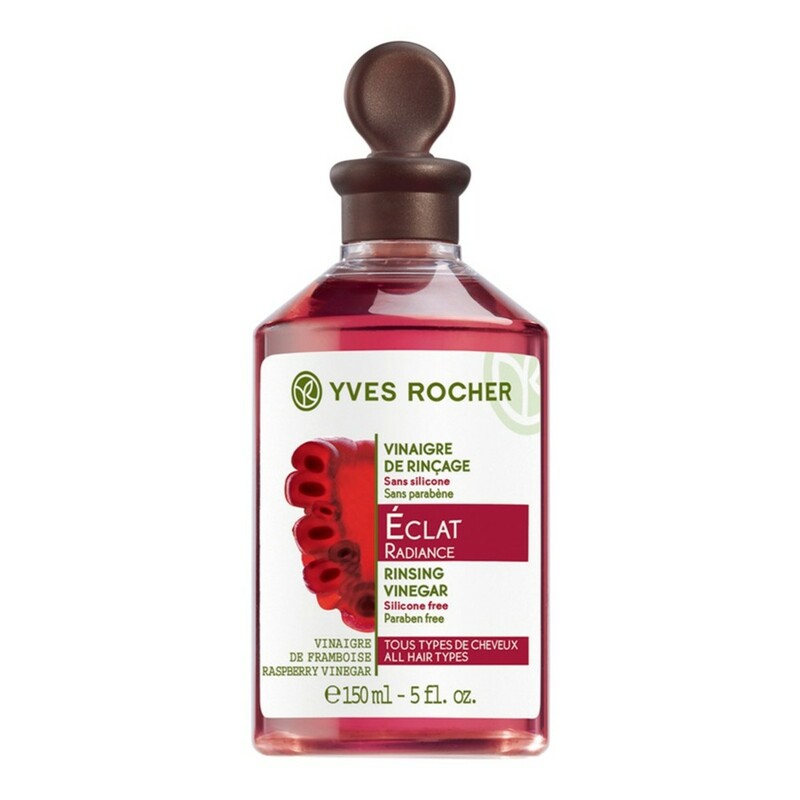 Yves Rocher Rinsing Vinegar will remove dulling build-up from your hair. 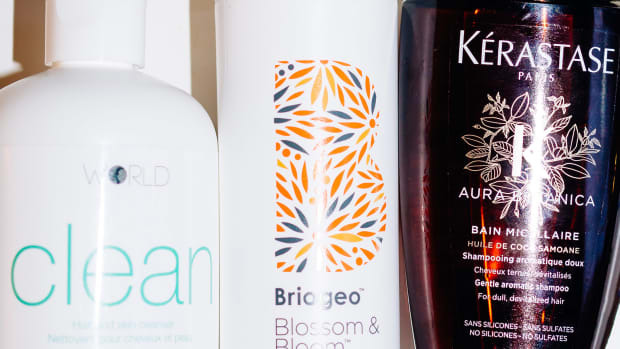 You&apos;ve heard of clarifying shampoos, right? Well, a vinegar rinse is a clarifier, too. Besides making your hair shinier, there are other benefits of removing build-up. 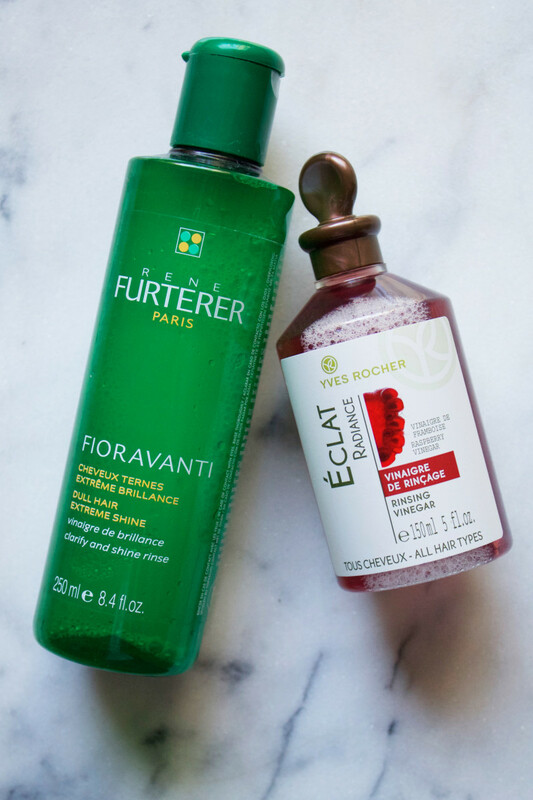 I&apos;ve talked about why to use clarifying shampoo, but the same points apply to vinegar rinses. 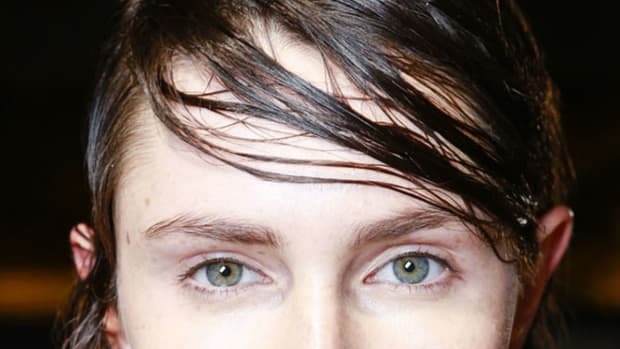 They can a) make your hair "take" colour better, b) improve hydration from a mask, c) get rid of chlorine deposits, d) neutralize brassiness and e) treat an oily scalp. A vinegar rinse is also a great remedy when your hair is just feeling blah and nothing is really working. Use a vinegar rinse, and your hair will be much easier to detangle. "A vinegar rinse beats any conditioner in the world," says Tony. That&apos;s not to say you have to give up conditioner, if you like it and need it—but consider adding the vinegar rinse as a final step. 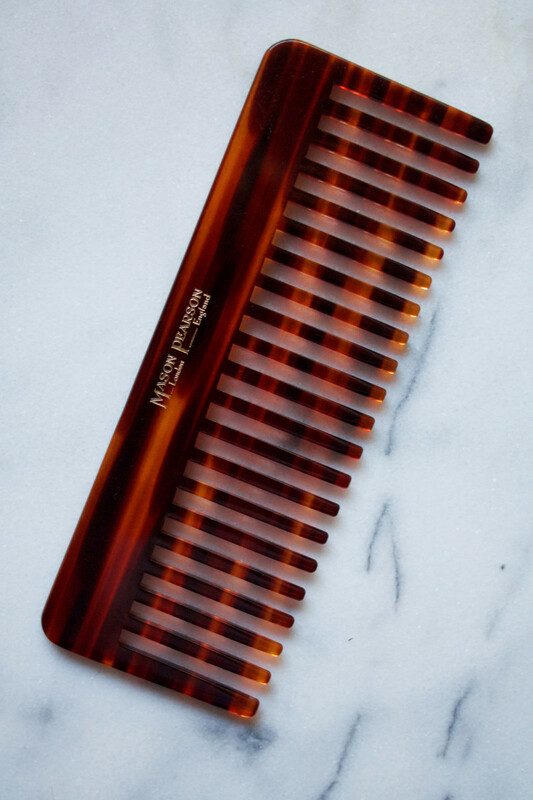 Because it is re-sealing the hair cuticle, it makes hair more smooth, which in turn makes it more manageable and easier to comb through and style. Good news for those of us who are knotty! The ne plus ultra of vinegar rinses, and the ONLY one that Tony recommends, is from René Furterer. 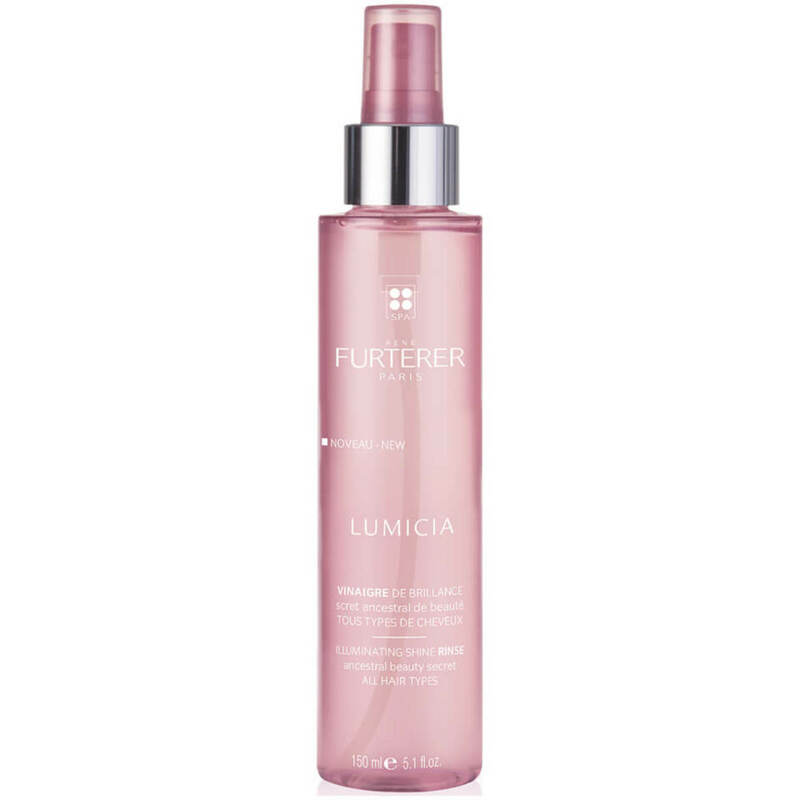 It used to be called Fioravanti Clarify and Shine Rinse, but now it&apos;s known as Lumicia Illuminating Shine Rinse. It is a salon-quality product, so the formulation is top-notch. The vinegar is made from acerola cherries from Chile, and there are also 14 plant extracts, including ginger and cinnamon. You can use it straight from the bottle if you rinse it out with water. If you dilute it with water before applying it, you can either rinse or leave it in. At the more affordable end of the scale is Yves Rocher Rinsing Vinegar. 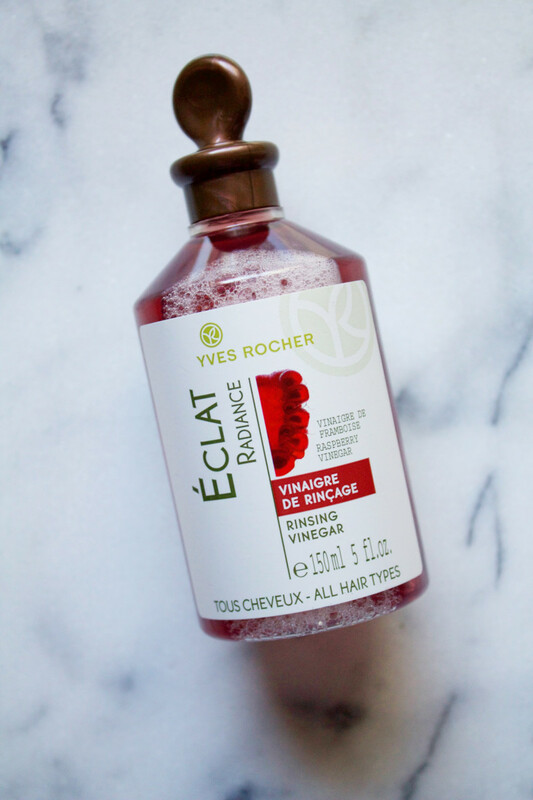 It&apos;s made with raspberry vinegar and is pre-diluted, so you can pour it straight on your hair. This one you must rinse out. I have to say, the scent is really great! 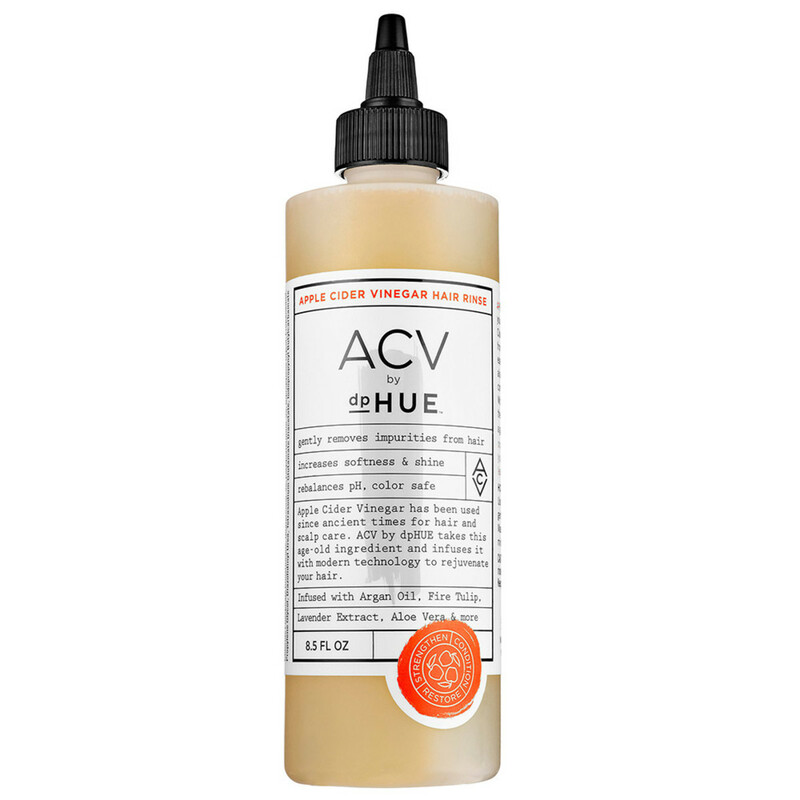 One of the newest vinegar rinses available is the dpHUE Apple Cider Vinegar Hair Rinse. Besides apple cider vinegar, it also conditions the hair with argan oil and aloe vera. They recommend rinsing it out for best results. 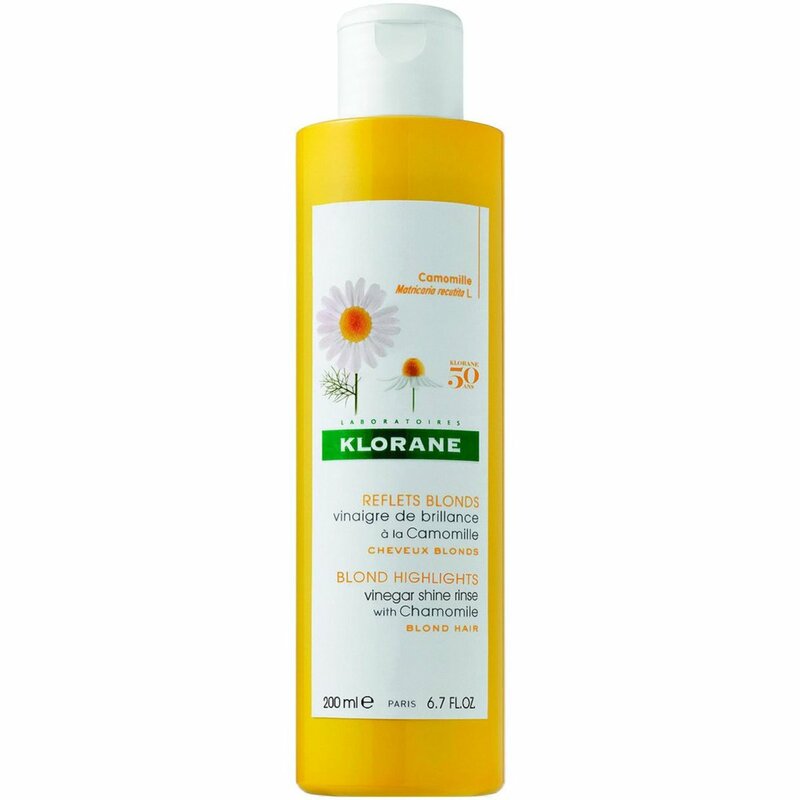 Klorane Vinegar Shine Rinse with Chamomile is specifically for blonde to light brown hair, as it contains chamomile extract that will lighten and brighten highlights. Free of silicones and preservatives, this is also one of the more natural vinegar rinse formulas on the market. It can be used diluted or undiluted. 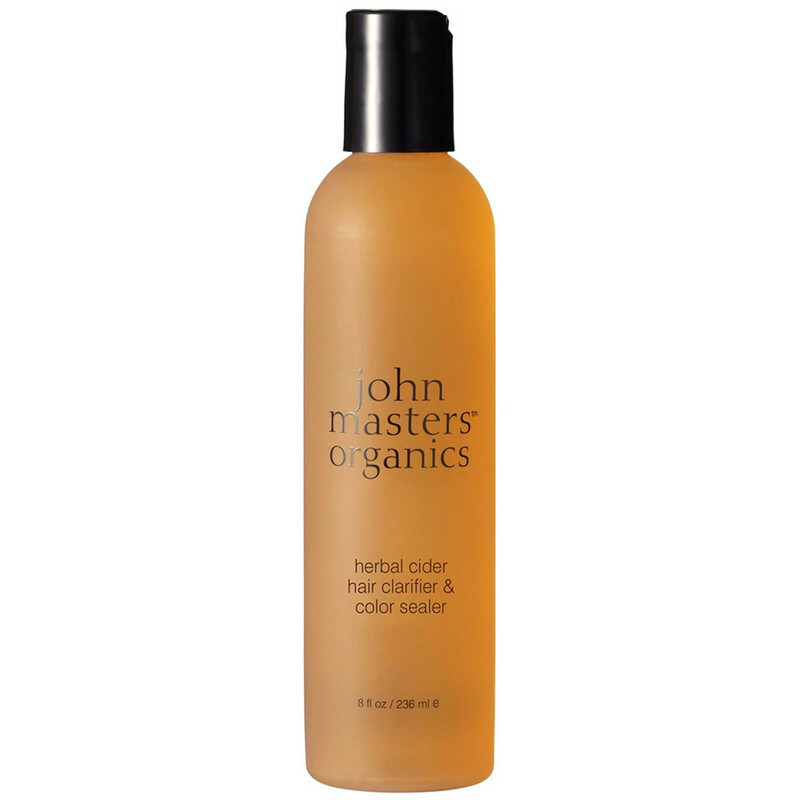 John Masters Organics Herbal Cider Hair Clarifier & Color Sealer is made with just eight organic ingredients, including organic apple cider vinegar and essential oils. It&apos;s meant to be used once a week, diluted. After leaving it on your hair for three minutes, you rinse it out. Philip B pH Restorative Detangling Toning Mist is a vinegar rinse in a spray format that is designed to be used out of the shower, as a leave-in product. You simply mist it over damp hair, and style as usual. It helps to detangle, balances your hair&apos;s pH and tames frizz. 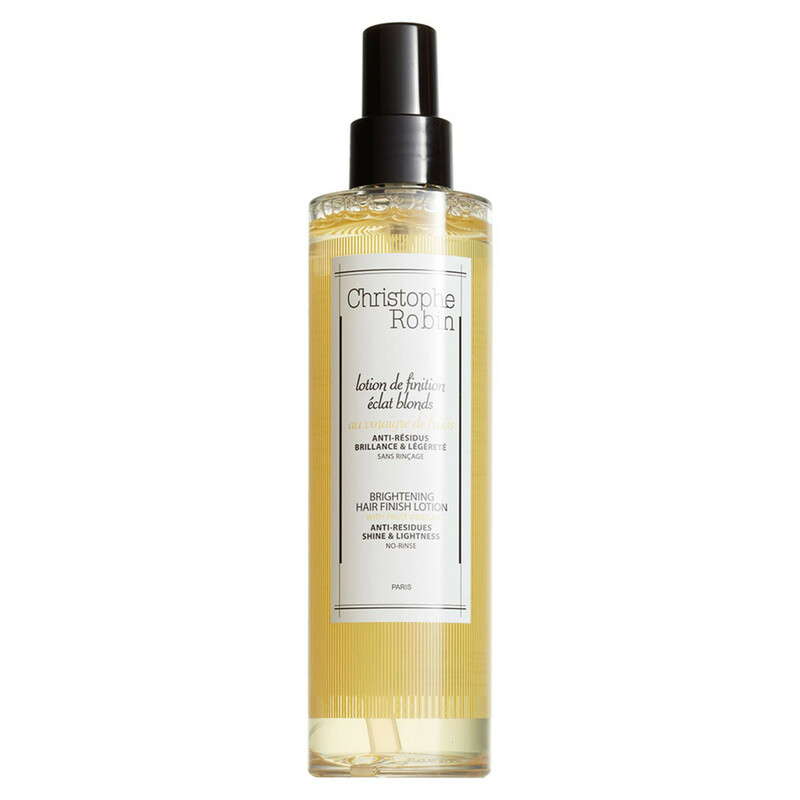 Christophe Robin Brightening Hair Finish Lotion with Fruit Vinegar is also a leave-in vinegar mist (a.k.a. a "finishing lotion"). This one is formulated to brighten blonde hair; there&apos;s also a Regenerating version for damaged hair and a Purifying version for anyone with scalp concerns. 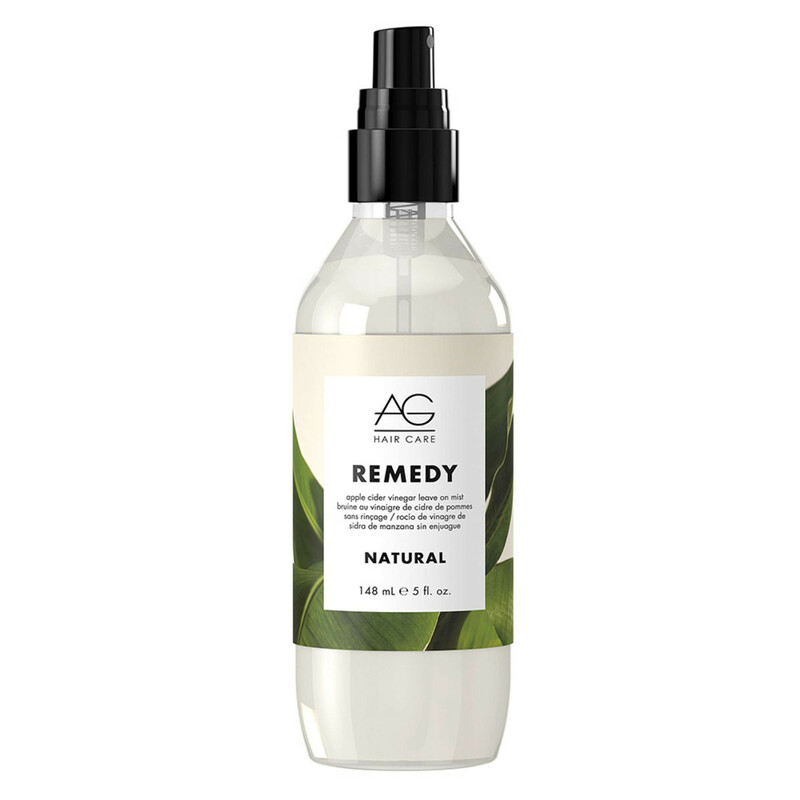 Last but not least, there is AG Hair Remedy Apple Cider Vinegar Leave-On Mist. This is a spray containing 98 percent plant-based ingredients. Bonus: Thanks to all the essential oils, it doubles as aromatherapy! It&apos;s meant to be misted into clean, damp hair without rinsing out. Read the directions. 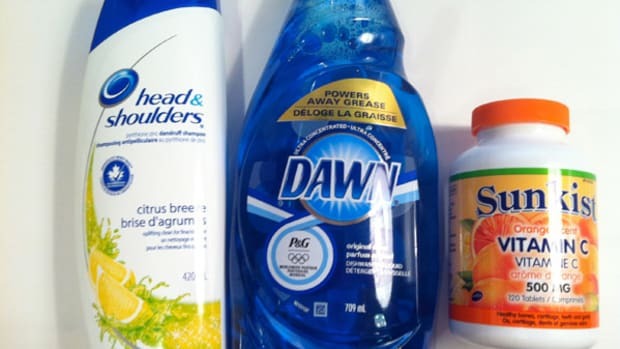 Some products need to be diluted with water and some do not. 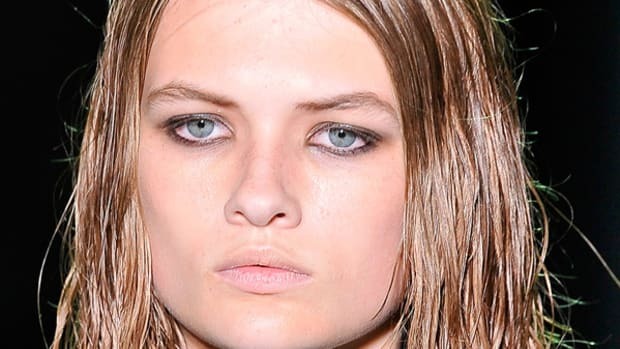 If you want to leave the rinse in your hair, make sure it&apos;s diluted. Dilute it. The label of René Furterer Fioravanti says it can be diluted one capful of vinegar rinse to 10 capfuls of water. Or, follow Tony&apos;s method: "Take the cap off the René Furterer bottle and pour enough vinegar rinse to fill the cap. Pour the capful into a small empty bottle of Evian water. Fill the rest of the bottle with water and put it in your shower. This is the best measurement you can do." Wash your hair as usual. In the shower, shampoo your hair and rinse it out. Conditioner is optional. Pour the vinegar over your hair. While you are still in the shower and your hair is clean and wet, pour the vinegar rinse to coat your hair from roots to tips. If you&apos;re using an undiluted vinegar rinse, you only want to use one or two capfuls. If the rinse has been diluted with water, you can use one cup. Rinse out or leave in. After you&apos;ve thoroughly coated your hair with the solution, you can either rinse it away with cool water or leave it in your hair. Again, as a general rule, don&apos;t leave an undiluted vinegar rinse in your hair—it&apos;s too harsh. There are tons of tutorials popping up over the Internet about making your own vinegar rinse—with either white vinegar or apple cider vinegar—at home. In fact, many advocates of "no poo" (no shampoo) rely on a vinegar and baking soda method to clarify their scalps. If you&apos;re only rinsing with homemade vinegar once in a blue moon, then it may not be a big deal. But check out this long-term no-poo&apos;er. Stopping shampoo is not what caused her hair to get so blonde. Vinegar can actually lighten (and damage!) your hair over time. "People use so many things at home, but I don&apos;t recommend making your own vinegar rinse," says Tony. "You&apos;re really screwing with the pH of the hair. It&apos;s too harsh. Also, it might seal the cuticle too much, so the hair will almost snap—the same way your hair responds to too much protein." Also, your formula will never be as good as the professional kind. "If you use straight store-bought vinegar as a rinse, it&apos;s too strong. But if you dilute it, how do you know by how much? You can&apos;t really be accurate in the same way a professional product has been designed." I&apos;m inclined to listen to whatever he recommends, because ever since I started going to Tony&apos;s salon a few years ago, I&apos;ve had more compliments on my hair&apos;s colour and condition than ever before. So yep, no hippie home treatments for me that could wreak havoc with my hair! 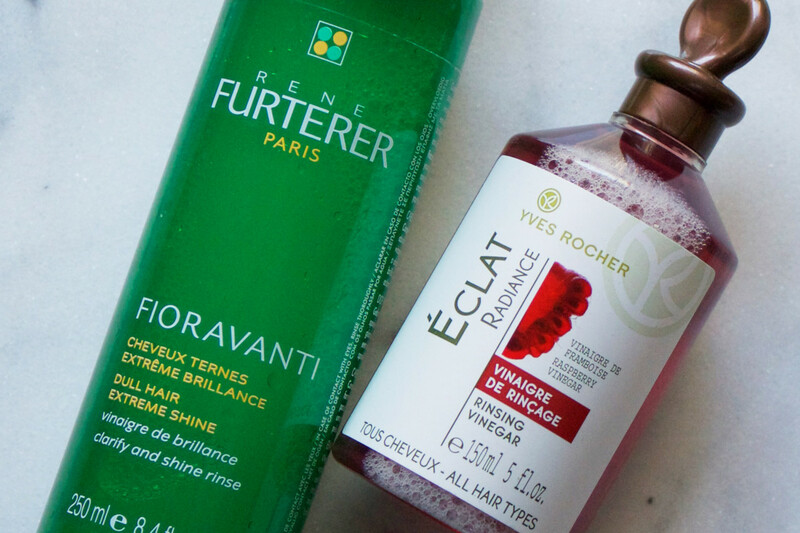 The vinegar rinse is the ONLY thing I&apos;ve heard of that works on every single hair type to improve so many things—from shine to smoothness to colour to volume. It&apos;s the closest thing I know to a magic hair potion. Thanks to Tony, it is now a staple for me, and hopefully it will be for you, too! Have you tried a vinegar rinse? What benefits have you noticed with your hair?